Il-28. Some nice photos and information. Il-28 Beagle Modeler's Online Reference. Photos, including walk-arounds. Il-102 Photos at the Virtual Aviation Handbook site. IL-102: Soviet-Russia's Last Dedicated Subsonic Ground Attacker. Scroll down past the questions to get to history, photos and drawings. 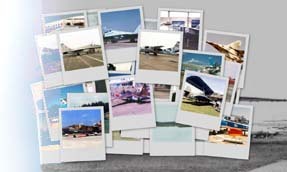 3M Photos (Bison) Photos at the Virtual Aviation Handbook site. Chagan Airmen. This site,in Russian only, (use Google Translate) is the memoir of retired Colonel Sergei Vasil'evich Ivanov, a Tu-95MS (Bear-H) pilot. There are some interesting photos and it is worth a read, especially if you read Russian. The Russians Are Coming! Facts and photos of Tupolev bombers tracked by Pinetree Line Sites in the 1950s and 1960s. Tu-16 Photos at the Virtual Aviation Handbook site. Tupolev Tu-22 Backfire C of the Ukrainian Air Force: Some nice close-ups. Tu-22 Photos at the Virtual Aviation Handbook site. Tu-22M Backfire Photos at the Virtual Aviation Handbook site. Tu-95, Tu-142 Photos at the Virtual Aviation Handbook site. Tu-160 Photos at the Virtual Aviation Handbook site. Yak-28 Firebar Modeler's Online Reference Including: Yak-28 Brewer Many photos. Su-24 Photos at the Virtual Aviation Handbook site.